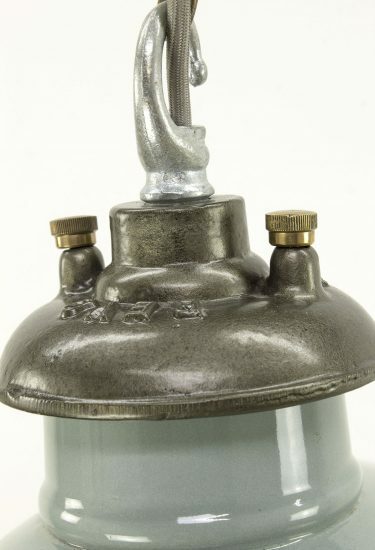 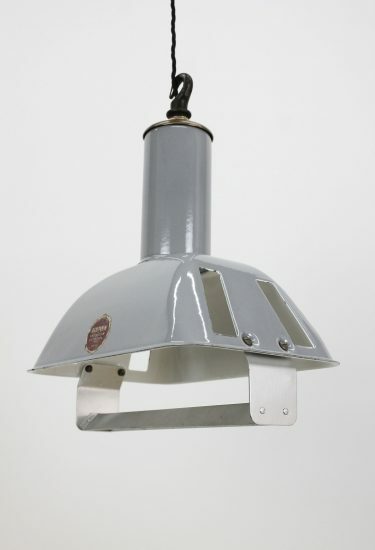 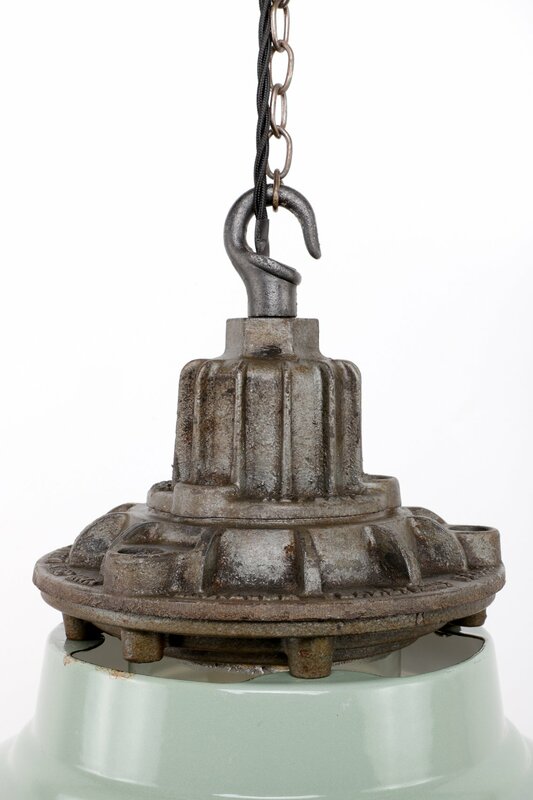 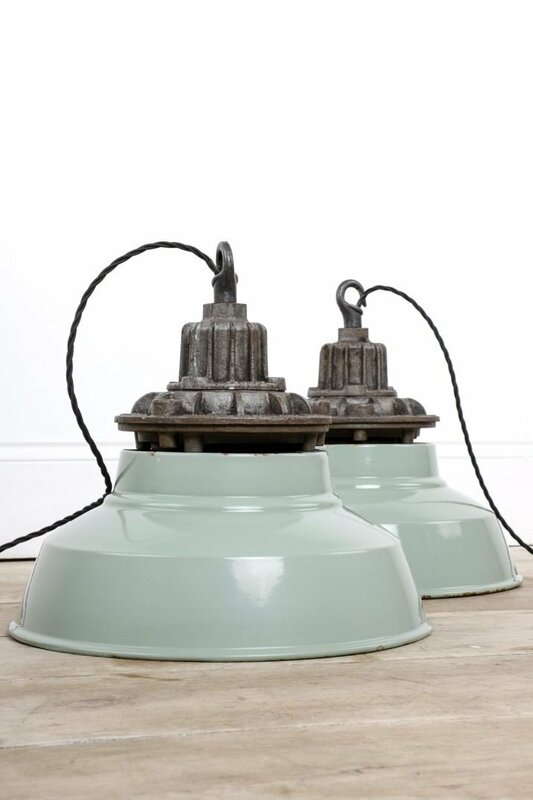 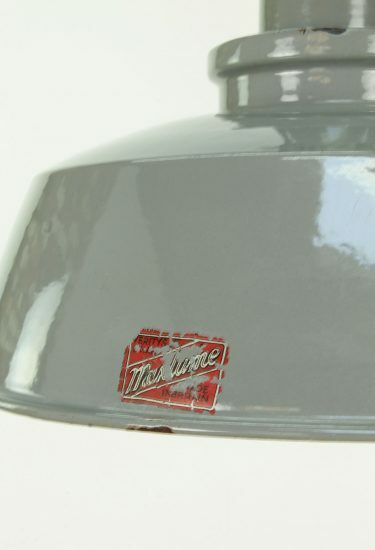 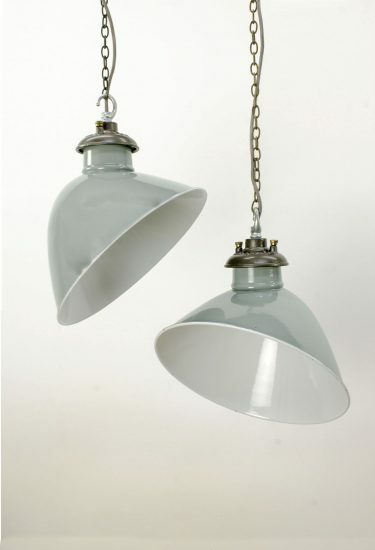 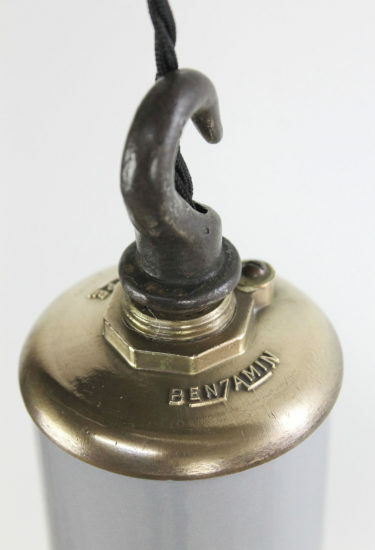 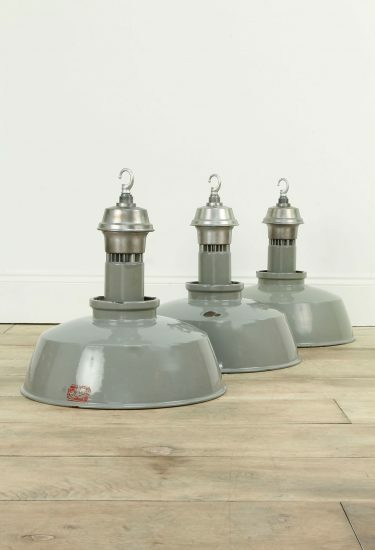 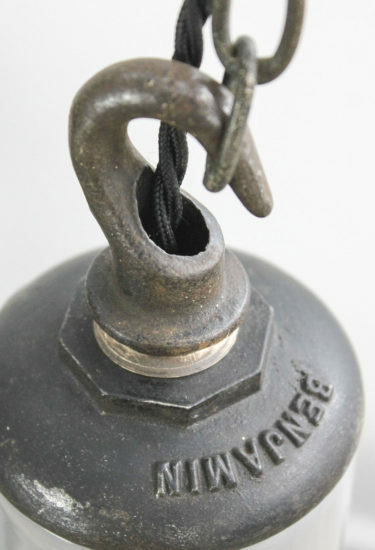 Vintage industrial enamel pendant lights, by British manufacturer ‘MAXLUME’. 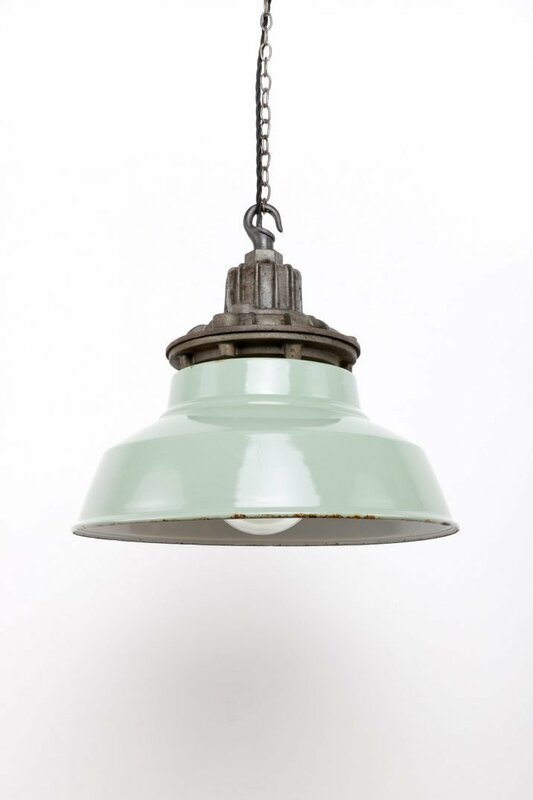 Rare flameproof pendant with two part steel gallery & duck egg blue enamel shade. 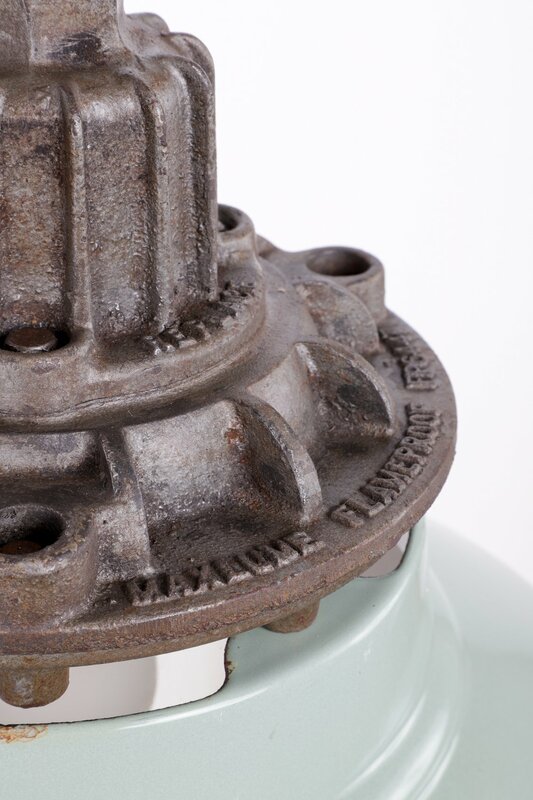 Original patination to gallery whereby makers mark is present. 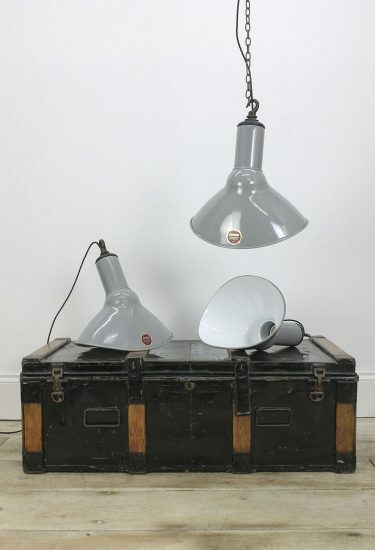 Salvaged from an MOD site on the East coast of England. 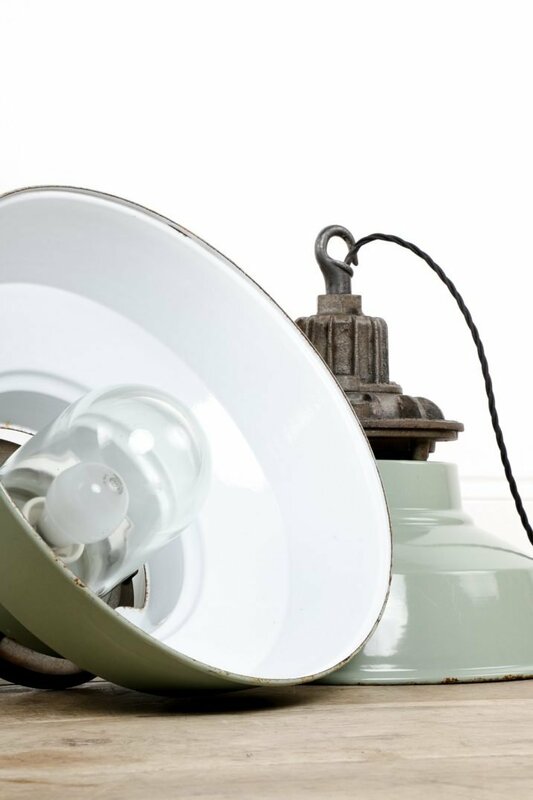 Price is per light – 9 Available.